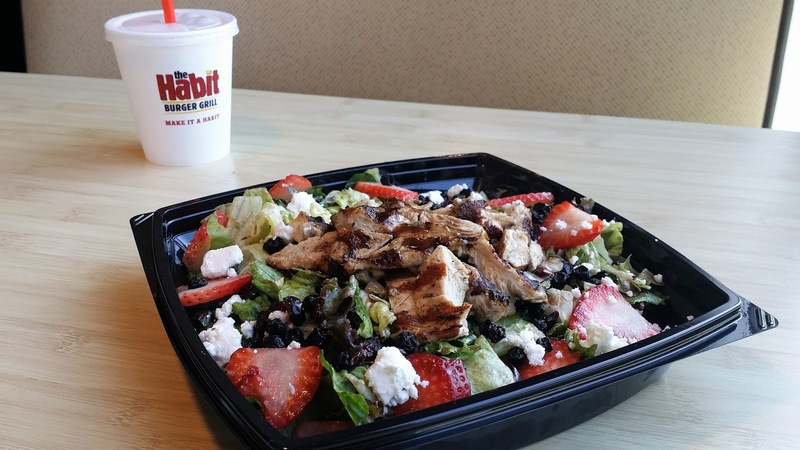 New Strawberry Balsamic Chicken Salad From The Habit Burger Grill - EAT WITH HOP! The Habit Burger Grill released a new salad for a limited time during the summer called the Strawberry Balsamic Chicken Salad! It's on the menu for a limited time through August! 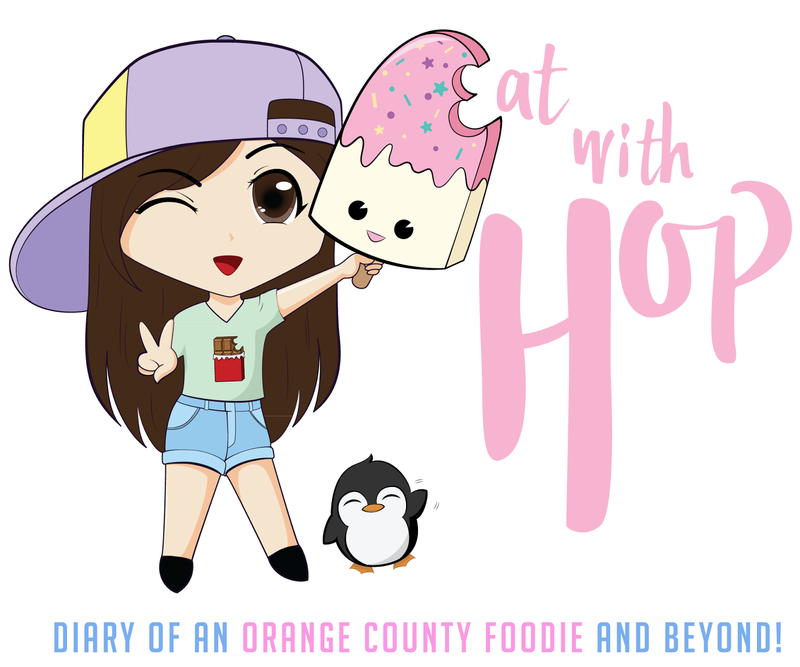 Kevin and I had the opportunity to try it as media and we were actually surprised by how "worth it" it is! I once ordered a salad from The Habit because I was on a (short-lived) diet at the time and wanted to order something a bit healthier. Well, who goes to a fast food place to order a salad anyway... I usually get my usual Charburger here or Mushroom Swiss Charburger! So freakin ` good! But the one time I ordered a salad a loooooooong time ago, I ordered the Chicken Caesar salad. Very basic. And I was disappointed. There was barely any chicken and I felt like I could have done a better job at home for the price at $7. So when the PR team behind The Habit told me about the new Strawberry Balsamic Chicken Salad, I was a bit skeptical. Like... is this even worth? So when Kevin and I stopped by The Habit before the movies (AMC Fullerton location! ), the salad we ordered was actually.... pretty darn good! Like... I was surprised by the portion sized of it! There was plenty more chicken (or so it seemed) than the last time I got the chicken caesar salad. And the the strawberries and dried blueberries made the overall salad taste so refreshing! Woo! This was honestly not bad for $7.50. Salad seems to be more expensive than the unhealthy burgers at any fast food joint... but at least the Strawberry Balsamic Chicken Salad proved to be a bit more worth the price. One gripe I had with the salad was that the staff drizzled way too much sauce. I felt like I mostly tasted sauce when I ate the leaves. So if I do get this again, next time I'd request the staff to put the sauce on the side please! the strawberries and dried blueberries made the salad so refreshing!